2015 has been a great year so far for Black Superhero News, it just keeps coming! 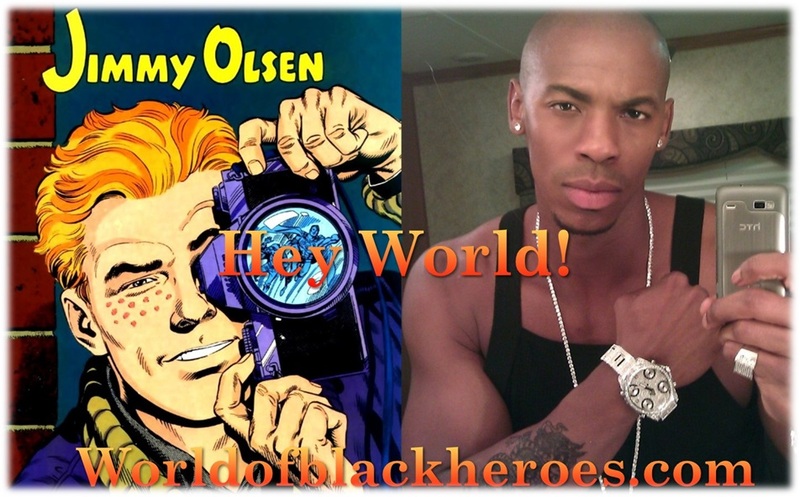 This time the headline is that heart-throb Mehcad Brooks has been cast as…..Jimmy Olsen on CBS’s Supergirl series which is now in development stages. Mehcad Jason McKinley Brooks is an actor and former fashion model best known for playing Eggs Benedict on HBO’s True Blood and Terrence “T.K.” King on USA Network’s Necessary Roughness. This is a race swap move similar to Perry White in Man of Steel, Electro in Amazing Spider-man 2 or Johnny Storm in 2015’s Fantastic Four. This will enrage comic book faithful or please the more open-minded fan. Either way them’s the brakes! Supergirl is developed by “Arrow” and “The Flash” executive producer Greg Berlanti and “The New Normal” co-creator Ali Adler. What do you think of the yet another race swap? ← Behold….the Fantastic Four Trailer! Hey look Im black n all for racial diversity but im a little hesitant whn it comes to race switching. Im not articulate to express wwhy in so many words; but i will say we have come to far as african americans for the “hand-me–down” roles from tradirionally white characters. i think white writers think they’re doing us a service but not from my perspective. Instead elevate established black superheros already in the comicbook genre. So it doesnt come across as a fad when they pull the plug on those switchovers like cap american n nck fury. characters like mr. Terrific in dc and spectrum or misty knight in marvel would make great characters to promote to more promincence and make excellent role model characters to young african minds . the “white” writers who do this are actually just a bunch of jews. I would have to agree with the previous poster on this new hollywood fad of changing traditional white comic characters into black movie ones. There are a plethora of underserved black comic characters not being given the hollywood spotlight, why not explore and promote what you already have in stock instead of trying to switch up the race of what has been historically white characters? Because jews are trying to ferment racial division between whites and blacks and doing it your way doesn’t yield effective results. What you said is a perfectly rational and compelling argument, but doing things in your logical manner doesn’t serve the jewish agenda.